Mighty Getter 1 appears as he did in the manga! The action figure stands about 6 1/2-inches tall. Includes extra hands, Getter Tomahawk, Getter Wing, and Getter Machine Gun! 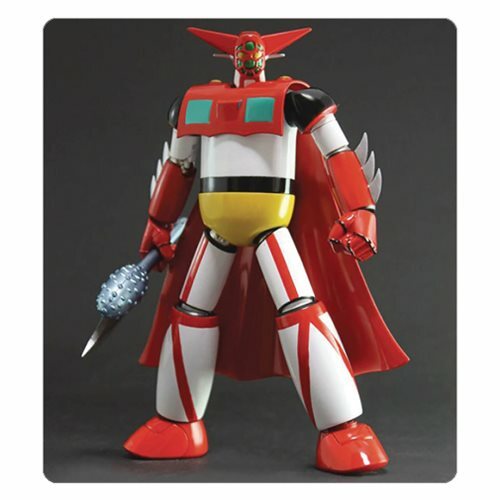 The mighty Getter 1 appears here as he did in the manga. From Evolution Toys, this Dynamite Action No. 42 Getter #1 Action Figure stands about 6 1/2-inches tall and comes with 3 sets of hands, 2 of the Getter Tomahawk, the Getter Wing, and the Getter Machine Gun!